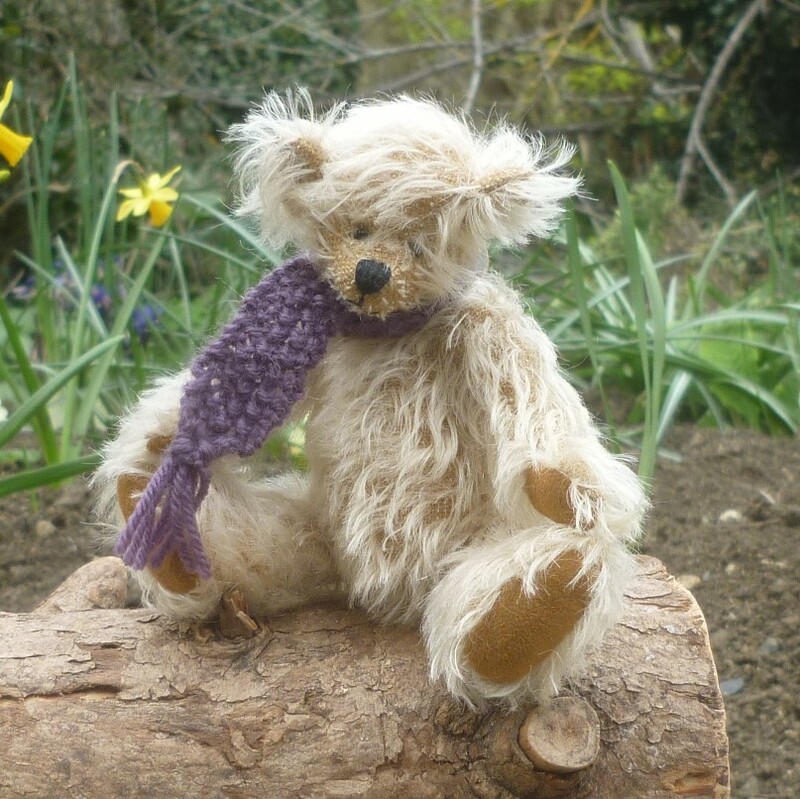 Simon is made of sparse mohair and wears a hand knitted scarf. He has onyx eyes and ultrasuede paws. He is filled with polyfibre and slightly weighted with steel shot.